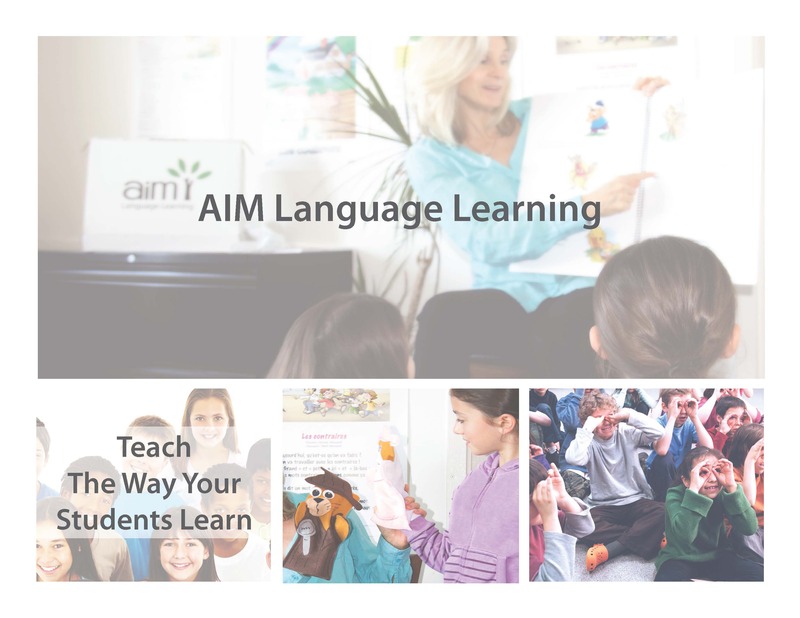 Experience the excitement of seeing your students reading, writing and speaking the target language within hours of beginning AIM! Because AIM contains aspects that are unique to the methodology, teacher training ensures that students achieve the highest level of proficiency possible. Whether you are beginning your first class or enhancing your existing AIM program, there’s an option to suit your needs. In our Teaching Kits you will find everything you need to deliver our methodology to your students. AIM allows for flexibility, differentiation and customization. We also offer a variety of supplementary resources which will complement our Teaching Kits. Looking for more info on AIM? Sign Up For A FREE Information Session or Webinar!